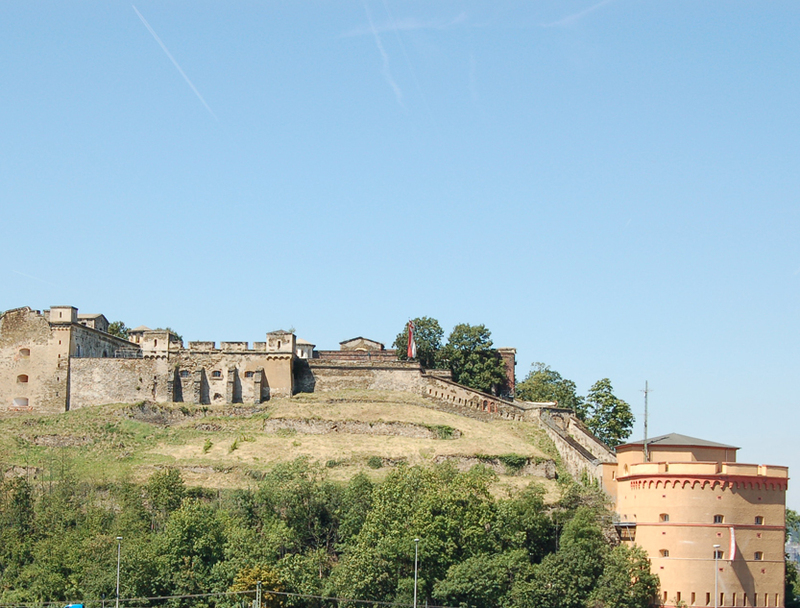 The fort of Grand Duke Konstantin sits atop the northern escarpment of the Beatusberg above the city of Koblenz and is part of the former Koblenz Fortress. The fort is almost completely intact. 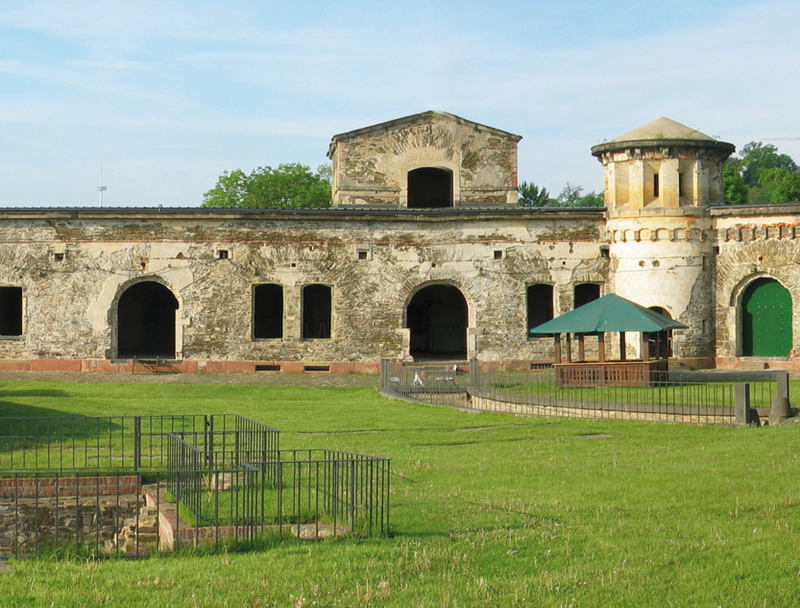 Named after the brother of the Russian Tsar Alexander I, Konstantin Pavlovich, it was constructed from 1822-1827 as an outpost for the Kaiser Alexander Fortress. 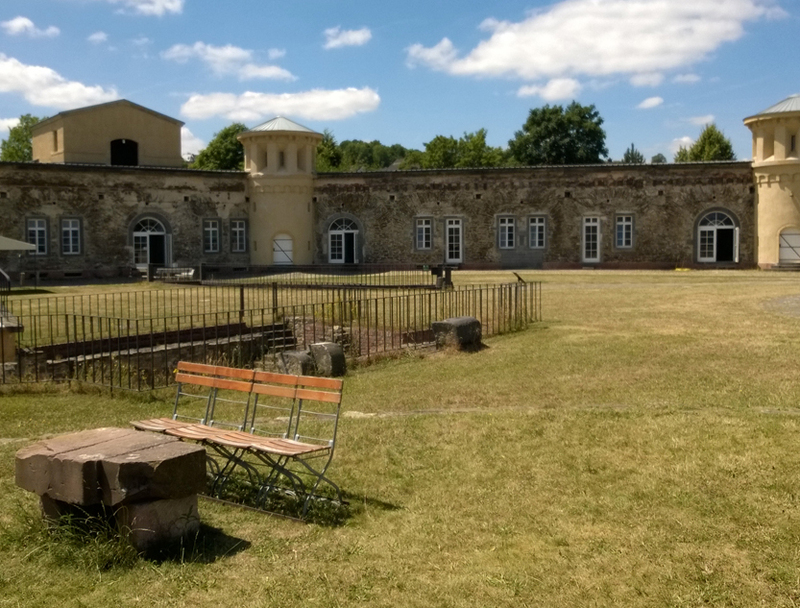 Fort Grand Duke Konstantin had the task of securing the immediate vicinity around the Koblenz city fortifications, as well as the connection between the Kaiser Alexander Fortress and the city, and it is connected to the Kaiser Alexander Fortress via an underground passage. During the Second World War this was made into a bunker. Air-raid protection and the police were in the right flank of the bunker and in the Kehlcaponniere. In the rocks below the fort there was a gallery bunker for the passengers using the Koblenz main railway station and the surrounding houses. Koblenz families lived in the fort until the middle of the 1960s. 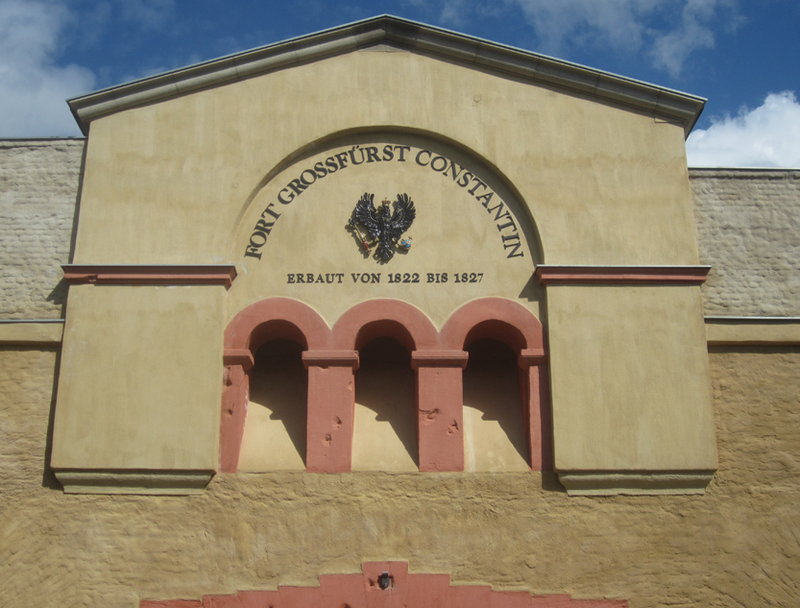 In 1994 the fort passed over to the Pro Konstantin association who made the fort accessible and secured the structure itself. The Kehlcaponniere now houses the Rhenish Fastnachtsmuseum (carnival museum).